Good acoustic design is an important consideration in healthcare buildings, from small doctors’ surgeries and drop-in centres to large hospitals. Among the key concerns in the design of these buildings are ensuring confidentiality in treatment and consulting rooms, creating quiet and restful conditions for patient wards and bedrooms and providing good working conditions for all staff. 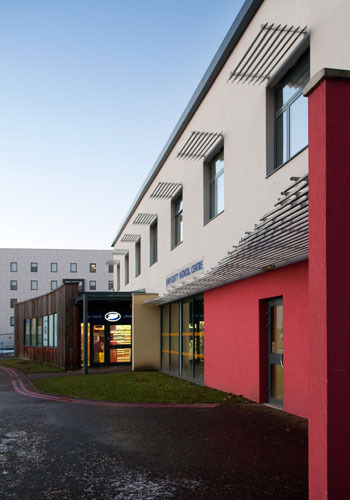 Every healthcare building is different and we work with design teams to develop a bespoke approach to the technical challenges of each project. Compliance with HTM 08-01 is required for the HEA section of BREEAM. Healthcare buildings often have demanding requirements for environmental control, which requires a considerable amount of mechanical plant. We can assess plant noise ingress into the building and advise on noise control measures to ensure that plant noise meets the criteria set out in HTM 08-01. We can also assess plant noise propagation to nearby noise sensitive premises, which is often required to meet planning conditions and for the POL section of BREEAM.